SAN JUAN, Puerto Rico -- Orlando Cruz says he wants people to talk about him not because of his private life, but because of his boxing skills. He'll soon get a prime opportunity to create the buzz he seeks in the ring. AP Photo/Dennis M. Rivera Pichardo Orlando Cruz, the first openly gay boxer in history, is ready to become known as something more: a champion. Puerto Rico's Cruz, who stole headlines last October by becoming the first boxer to publicly reveal that he is gay, appears to be on his way to fighting Orlando Salido for a vacant featherweight title. Ranked the No. 1 126-pound contender by one of the alphabet organizations, Cruz (20-2-1) would likely take on Salido in Puerto Rico or New York City in August. He claims he is ready to become boxing's first openly gay titleholder. "This crown is headed to Puerto Rico before the end of 2013," Cruz said. "I will be the first openly gay world champion in history, and it will be huge." Cruz was lined up for the title shot when the belt was stripped from Mikey Garcia after he failed to make the featherweight limit at the weigh-in before his defense against Juan Manuel Lopez on June 15. Lopez was still eligible to win the title, but he lost to Garcia by fourth-round TKO. "I know that in boxing there are many people like me who haven't dared to take the step like I did, revealing that I'm gay," Cruz said. "Being the first gay champion will be a big accomplishment to all of them." 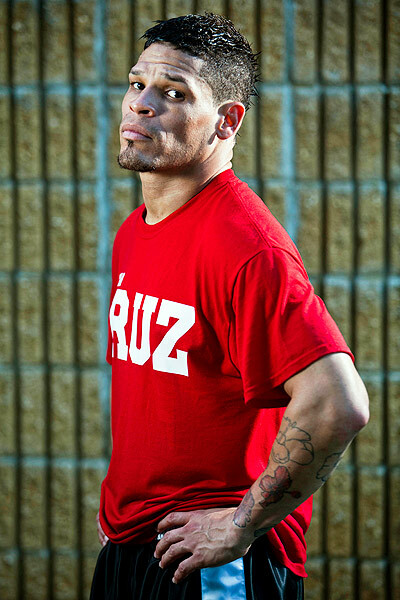 Cruz had been scheduled to fight Saturday in Kissimmee, Fla., but his promoter pulled him from the tune-up bout to avoid jeopardizing his shot at the title after the news broke that Garcia had vacated it. "I was really surprised when I heard about the decision," Cruz said. "But I am really happy for all the opportunities that have lined up. I have the ultimate respect for Orlando 'Siri' Salido, and I've had the chance to talk to him on several occasions." Salido (39-12-5, 27 KOs) hasn't fought since he lost to Garcia by technical decision in January. "I think he has never faced an opponent like me: slick, able to counter-attack and also a puncher," Cruz said. "I've got all the tools. I'm not underestimating him, but I've got some good skills and will give my best effort." A new report confirms U.S. home prices are on the rise. Of 20 major cities in the Standard & Poor's/Case Schiller home price index - 12 posted double digit gains in April, compared to last year. Industry experts say prices will continue to rise due to smaller inventories but some say tight lending standards and rising interest rates could put a damper on the housing recovery. Mil Arcega has more for VOA. Venezuelan leader Nicolas Maduro visits Haiti Venezuelan President Nicolas Maduro made his first official visit to Haiti on Tuesday as the countries began negotiations to figure out ways to renew a special fund that uses oil money on mostl.. The president of the Brazilian Senate announced Tuesday that the upper chamber will discuss a pair of bills proposing to allocate 10 percent of gross domestic product to health care and the same amount to education. Statements by Ecuador’s foreign minister and embassy in Washington suggested that a decision on the asylum request by Edward J. Snowden could take weeks. Ecuador's foreign minister suggested Mr. Snowden could be granted asylum at an embassy, rather than traveling to the country itself. Ecuador could take weeks to rule on an asylum bid by fugitive US intelligence leaker Edward Snowden, Foreign Minister Ricardo Patino says. 13 Reasons Edward Snowden Is Looking To Latin America For Refuge Huffington Post ... Puerto Rico in 1898. The United States invaded Puerto Rico in 1898 during the Spanish American War and has retained control of the island ever since. ... ..
How do you interpret Mr. Putin's statement? Some American officials think it is a positive signal and speculated that Edward J. Snowden would be sent to another country that could turn him over. President Vladimir V. Putin of Russia on Tuesday appeared to rule out sending Edward J. Snowden back to the United States, as Moscow and Washington tried to prevent a cold-war-style standoff.